The last market of the year and it promises to be lovely. There are so many wonderful designers; Helon Melon, Skinny la minx, Clementina, Kathy Mellor, and many more great makers that I cannot wait to spend an evening with. The market will be followed by the church’s annual Carols by Candlelight which is going to make the evening very special. 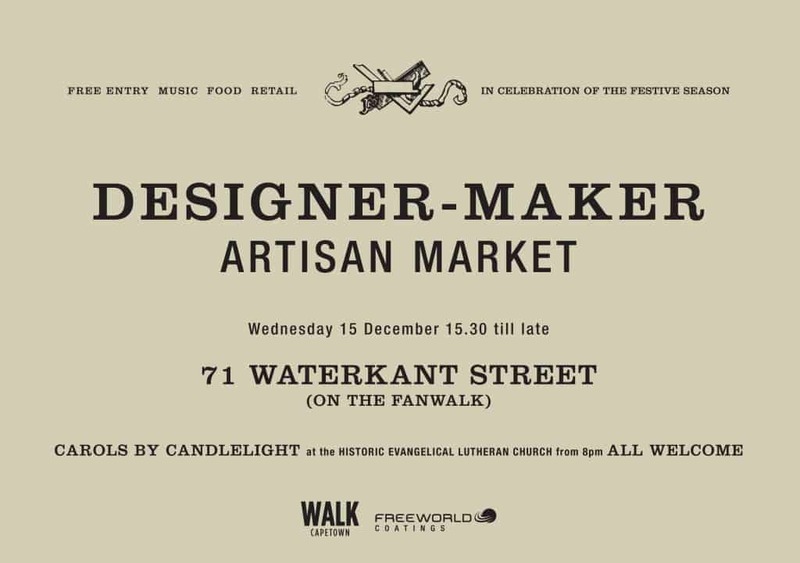 This entry was posted in Blog and tagged artisan market, Cape Town, cape town market, carols by candolight, designer maker artisan market, freeworld, lutheran church, old church, xmas market.